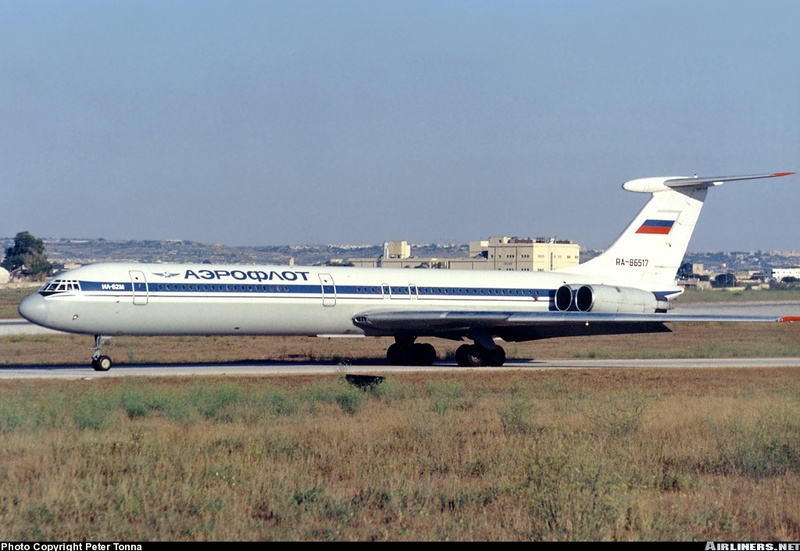 During the Cold War the Soviets were often accused of copying Western designs and so it is with the IL-62, which was derided as being a “VC-10ski” copy when it first appeared. History has vindicated the IL-62, which was actually a purely civil design carefully optimised for long-range flights rather than being compromised by conflicting requirements the way BOAC and the RAF forced Vickers to hobble the VC-10. 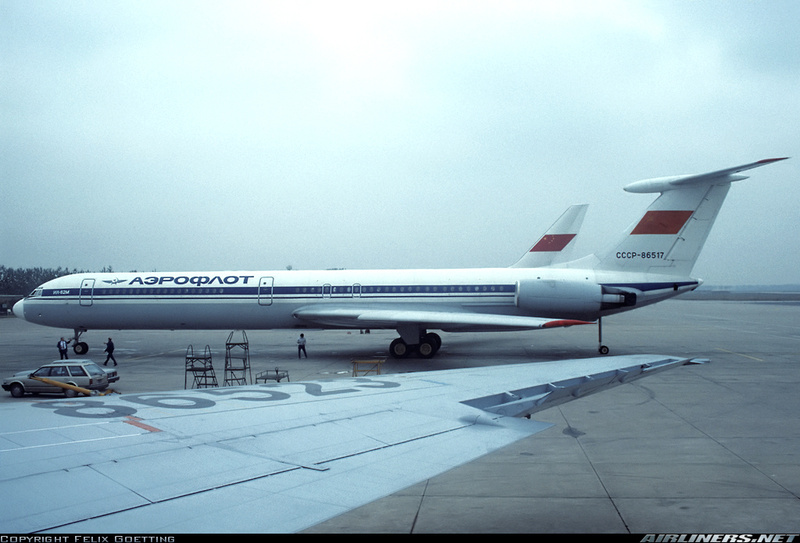 The IL-62 remained in passenger service well into the 21st Century in contrast to the VC-10's withdrawal during the 1980s. 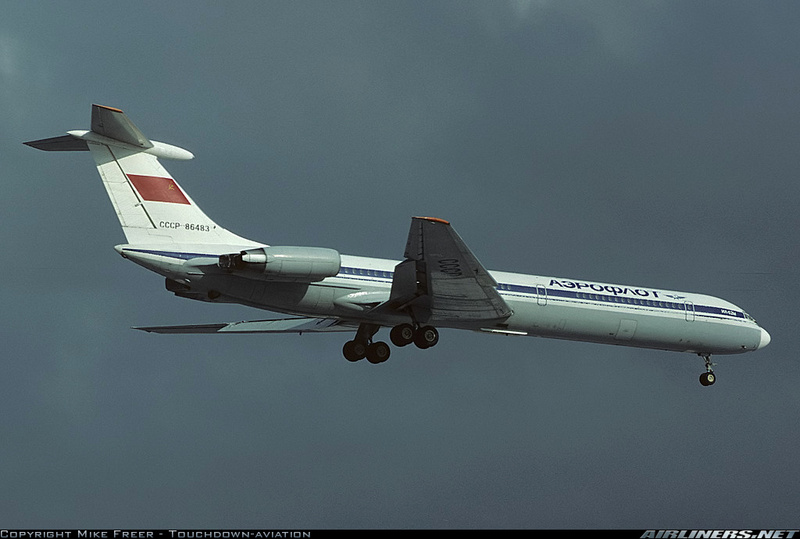 The IL-62 was Aeroflot's flagship aircraft until the IL-86 was finally introduced in 1980 and it remained an important part of the long-range fleet for 28 years afterwards. It was the first Soviet airliner to be designed with full height entry doors and navigation lights that met international standards. 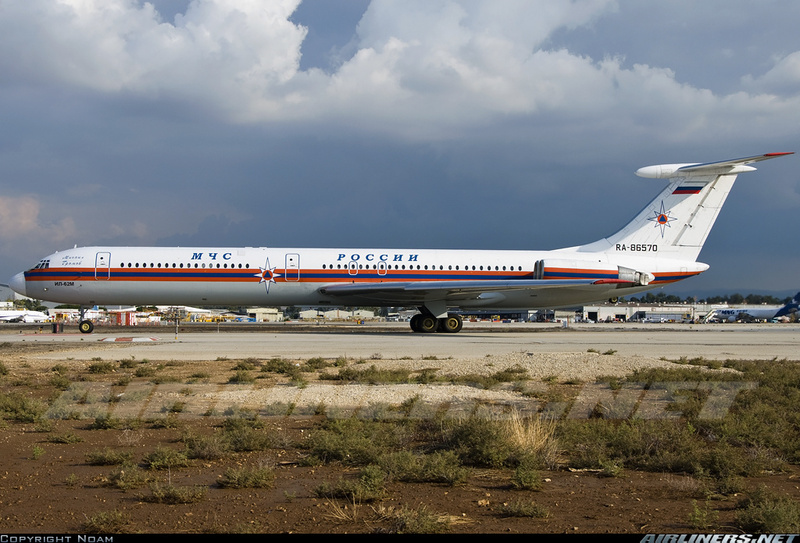 A few IL-62s remain in service to this day. The kit comes packed in a very sturdy cardboard box with a flip-top lid inside a flimsy end-opening box. The mouldings are crisp and clean, with very little flash and no sink marks. The fine scribed panel lines are out of scale for 1/144 but will still look good under a coat of paint. The panel lines match up very nicely. The plastic has a slightly satin texture which can be polished out, but which will disappear under the primer paint. It is noticeably smoother than previous Zvezda kits. This kit includes Zvezda's now-traditional large stand. The model is large enough to look fairly good sitting on it. The large decal sheet wraps up both sides of the bottom of the box. The fuselage is two halves from nose to tail. The cabin windows are open, with clear parts provided for them. The cockpit windows are moulded with a portion of the fuselage roof to allow for filling and sanding which does not into intrude into the windscreen. The panel lines are nicely engraved and match up well. The APU exhaust is a small blanked-off opening under the tail. It can be improved by drilling out and inserting a section of blanked-off styrene tube. If the windows are left clear, the interior should be painted black to prevent the model from looking toy-like. There is a very complete cockpit plus an entry vestibule which will be visible if the entry door is positioned open. The nose gear well/cockpit assembly and tail support strut well must be inserted before the fuselage is closed. There is no mention of the need for nose weight. It may be that the cockpit parts are sufficient to keep the model sitting on its nose gear, but I don't know whether I'd take a chance on that. If you choose to build the tail support strut fully extended, there will be no need to use nose weight .There is sufficient room behind the nose gear well for a substantial amount of weight if you desire to use any. The tailplane support must be trapped between the fin tip halves as the fuselage is closed up. The instructions indicate that it should not be glued, which argues that the tailplane can be movable. The wings are two parts complete from tip to tip with a saddle the fuselage sits on. There are separate parts to allow for raised or lowered flaps, and also separate ailerons. The IL-62's characteristic wing root intakes are provided for by two-part intakes which look acceptably deep. They'll need painting before the wing halves are glued together. The tailplane is moulded as a single piece top with two lower halves and a separate central bullet, made up of two halves. It appears as though it may be left off until after painting and decalling is complete. It may be posed in the full nose-up deflection which is sometimes seen when the aircraft is on the ground. The rudder is also a separate piece with a very fine trailing edge and hinges. One place where the engineering falls down is the decision to put part of the engine pylons on the fuselage and the rest on the engine halves. This always leaves a very tricky joint to clean up, often leaving very little room to do it in. I liked the Tu-134's execution better. The engine pods themselves are very nicely done, with a fairly complicated assembly sequence to accommodate the necessary complex shapes. The inlet guide vanes and turbine discs are very crisply moulded and will look excellent with some careful painting. The pen nib fairings and thrust reverser fairing tips are separate pieces. Take care not to knock these off during painting. The landing gear struts and wheels are finely moulded and nicely detailed. They could use some brake lines and whatever else the modeller likes, but will look good without it. The wheels themselves are properly thick and the detail moulded into the hubs is very good. There is an option for raised gear, and a very large heavy stand is provided. As with all 1/144 kits, the gear doors are overly thick and may be replaced if the modeller wishes although Zvezda has made an effort to get the door edges thin and they have nice mounting tabs. There are two variants of the tail support strut, one retracted, and the other fully extended. Markings are provided for four variants in Aeroflot's 1973 scheme (two aircraft, each at two different times during their careers) and one from the Russian Ministry of Emergency Situations. They are very comprehensive and offer complete stencils. There are no window decals offered for those modellers who like using them so it's lucky that a range of aftermarket schemes is available from the usual suspects. The decals are Zvezda's traditional slightly matte finish and may tend to roll up into unusable little balls if sufficient care is not taken when applying them. Float them into position with plenty of water. Highs: Very fine details, complete cockpit and exciting options. Lows: None to speak of. Verdict: This kit has become the best airliner model to date. Copyright ©2019 text by Is a secret [ JESSIE_C ]. Images also by copyright holder unless otherwise noted. Opinions expressed are those of the author(s) and not necessarily those of AeroScale. All rights reserved.